The Cineffable Lesbian and Feminist Film Festival continues to excel in bringing to Paris an excellent program of international documentaries, features, and shorts, including experimental and animation. This year the audience awarded best feature to Rain, by Maria Govan of the UK and the Bahamas. The film is about a young girl who goes to live with her drug addicted mother after her grandmother dies, and sets her hopes on becoming a champion runner. Best documentary went to the U People, by Hanifah Walidah, an exceptional music video about 30 women and transmen of color in Brooklyn. Short films that won audience awards include Canadian Claudia Morgado Escanillas' No Bikini won best short about a young girl who experiences seven years of bliss posing as boy so that she can swim without a top. In Melanie McGraw’s Pitstop from the US a young girl is accidentally left behind at a gas station and becomes inspired by the woman who owns it who encourages her to take photographs. Women gather for four days when Paris is on holiday for Toussaint, All Saints Day. To the story there was an attempt to bring Halloween to France several years agon, which never got off the ground. Attendees from all over the country and around the world are able to attend 73 screenings. 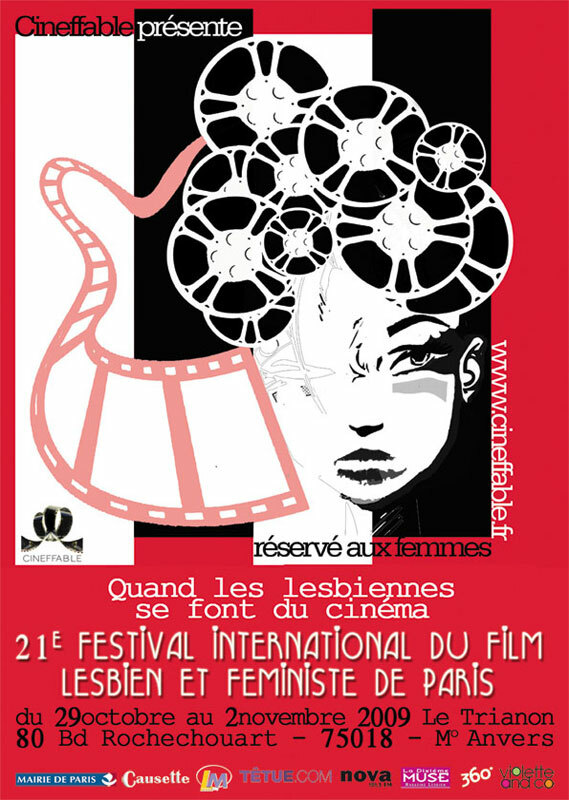 A festival committee of 11 women chose the films this year from 0ver 200 applicants and provides a diversified program with various subjects that reflect lesbians around the world. The process is democratic and also highly tuned to the needs of women, even if women raise strong concerns about the images of the filmmakers. But Cineffable tries to accommodate as many voices as possible, making a special effort to bring in low budget film by women who do not have commercial distribution. In an exclusive interview to Movie Magazine from two of the filmmakers present at the festival here now is Maria Galindo, director of the Bolivian documentary Amazones, and Elena Garcia- Oliveros director of experimental shorts from Spain including El Psicohospitalito.